Over the last few years Lego has grown and grown in popularity. With this we have seen more sets being made and the size of the sets getting bigger and bigger. This year sees two Lego movies, the largest ever set with 7 of the top 10 biggest sets being made in the last 2 years. Can this continue or are we already starting to see some decline? I was going to ask and answer my own question with a long post but maybe its better to not state a strong opinion. It wouldn't surprise me if set size has peaked. I've seen people suggest that perhaps this year's sets have been a testing of the waters, to see how big and expensive sets aimed at the AFOL end of the market can get. It's a shame we won't have access to the sales data, as it'd be interesting to know how well each set does. 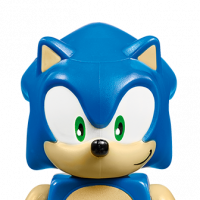 If a set remains available for a few years, is it because it's popular (so they made more) or not so popular as hoped (so the original production run hung around?). I can see pros and cons to there being a lot of these large sets around. It's been exciting to see so many huge, cool sets being released, but there can't be many people who can afford to buy as many as they'd like. I do think the market for anything like that has a natural ceiling, and perhaps they're hitting it. I asked a question in the Falcon Rumor thread awhile back if this was a new "Golden Age of Lego"? I asked because it seems to me with the UCS Falcon, Old Fishing Store, a Voltron set coming, and then the prior year GB HQ, Disney Castle, etc. that Lego is giving me just about everything I could want as a collector and then some! That said, I was just reading up on the thread about employee layoffs and it seems this might not be translating on the balance sheets, or at least not yet which is sad. Maybe the fact that Lego is giving everyone everything they want is too much to sustain in terms of profitability. I think from standpoint as a collector, this has to be a high water mark although I'm newer to the game. I think whether or not it continues depends on if sales and profitability. No one stays on top forever -- not Apple, not Microsoft, and not LEGO. And sometimes even great companies fall flat for short periods of time. From an investors perspective, I would not be overly concerned with this news, and as a collector I'm even less concerned. LEGO will be just fine. They're going to continue cranking out amazing product after product for years to come. Their key to sustaining growth and profitability is retaining existing and procuring new IP licensing deals. From what I recall, LEGO was always sort of aware that it might well be entering a bubble of inflated popularity-- made worse by a few perfect storms of success (new girls market, Ninjago, The LEGO Movie, Collectible Minifigs) as well as things like a blossoming new market in Asia, as well as resellers who have been egged on with such claims as LEGO being more valuable than gold. So, if that's true, one would expect a downturn and a re-stabilization. In years past, I recall LEGO explicitly saying they were trying to scale back their expansion-- they didn't want to invest gobs more in meeting production if their demand was going to fall off within a year or two. I honestly expected to see this happen sooner, but with only the limited information we've got, it's been anyone's guess as to when this would happen, or how it would happen (would it be a big crash or more of a gentle plateau, for instance). I'm mostly curious about things like Lepin, who have found a successful way to (apparently) legally sell reasonably high quality products that are violations of copyright and IP law in the West. I always expected this sort of competition to impede LEGO's growth in Asia, but it makes me curious how much it's affected LEGO's market in Europe and North America. Time and again, I see people who are fine with buying the cheaper Lepin products or knock-off minifigures, who are "Building Brick Fans" but not necessarily "LEGO Fans"-- their loyalty isn't really all that strong to LEGO. If a large percentage of LEGO's market base aren't loyal to the brand, then when LEGO can't command the market anymore, it's not terribly surprising that their sales will fall off. Along those lines, I would also posit that licensing is making them more vulnerable. A lot of buyers are attracted to LEGO to buy a copy of the "Millennium Falcon" or a "Black Panther" minifig. Those buyers are loyal to the Star Wars or Marvel brands, but not really to LEGO itself. Not that there's anything wrong with licensing per se, but it strikes me that it can lead to a less stable market base (hence why LEGO would really love to increase reliance on its own brands like Ninjago, Elves, Bionicle, etc). I don't see too much of a problem with LEGO competing with itself per se. A lot of people here seem concerned that LEGO's high-price items are competing with the rest of their lineup, or that their diverse spectrum of products gives consumers too much to buy. I'm not too sure that's a problem-- it could be, but it seems less likely to me. That seems like something LEGO should be able to predict and control pretty well on their own (and they seem to have done a good job with that in the last 10 years, I'd say). Suffice to say, we'll have to sit and watch. LEGO's been having an extraordinary run for the past 10 years, and I'll be sad if they end up losing too much ground. But I've been happy to see them enjoy a golden age of fantastic products and brand building. I think they grew too much, too quickly. Everything was awesome and that made them overconfident. Also a bit greedy, possibly. There is too much awesomeness now. Nobody can afford to buy it all. I'd say there's no decline at all as far as the hobby goes. It's not like the demand isn't there. A lot more Lego would be bought if it was more affordable. The only decline I see is in TLG's profits. I don't see the big big sets as a problem. They are flagship sets, meant to bring in eyeballs. And they remain available for years, enabling people to be inspired and save up for them. I've seen people suggest that perhaps this year's sets have been a testing of the waters, to see how big and expensive sets aimed at the AFOL end of the market can get. I would say that "testing" wasn't really limited to any particular year, except maybe 2000 (UCS and Sculpture sets). LEGO's been gradually producing larger and larger sets over the course of the last 18 years, tailoring itself more and more to the adult market, and price points and piece counts have been getting higher and higher. I remember (for instance) thinking that the $150 price point of the UCS X-Wing was too high, since most other high-end LEGO sets were at most $100 (except for train sets, which were in line with other starter toy train sets and Mindstorms, which was definitely in a league of its own!). But sure enough, in 2002 we saw the UCS ISD retail for even more money! And it's definitely expanded ever since. I think the real question will be where things go next. Will we keep seeing these pop up, but in lower volume? Will they go any higher? Only time will tell! As you point out, we'll only ever know any better if we get detailed access to their sales figures, which I'm sure we won't! Do you think this report coming out now has anything to do with the Lepin lawsuit. Correct me if I'm wrong, but was September 2017 the court date? Maybe it's a direct result of Lepin (layoffs/ less profit)? Absolutely and utterly agree with this. I will also add, that for us, the themes chosen also have my son turned off. I do not think we are the typical Lego buyer, but if you have a 10 year old turned off by the offerings, then I am sure there are some others as well. If anything the big huge flagship Minecraft set is one of the only items he has expressed interest in this year. Lego used to have a new theme or two every year, but so much is just new sets in the same themes...Star Wars, Ninjago, Minecraft, SuperHero. The only thing keeping him interested are the big large sets, because so much just keeps falling into these same categories. NexoKnight was really one of the only relatively new themes, and if that does not appeal to one...there just is not much left. So, yes... for us the $50-$150 range is where Lego is missing, and for us it is because we want other themes and not just more rehashes of the same themes. @davee123 A set higher than $800 for the UCS MF? Part of me secretly wants to see a $1000 Lego set, just to look upon something that big. If it was a UCS Cloud City then I could be seriously tempted, but I'd very much be in the minority! I think they will evaluate their product placement and strategy in 2018. The sets for 2018 are already designed and/or in production, but they need to rethink how they design sets. From what I heard, they know this (of course). As stated above I also think they became overconfident after the succes year 2014 with the high prices, way too much diversity and lack of new design as a result. They still sell, but less than before. Then there's the minifigures.. I've ordered a figure from Ali Express for €0.60 with shipping from a clone brand just to compare it to a Lego version. The quality was not as good as Lego, but it wasn't bad. To my suprise it had printing all over the place (arms, sides of the torso, legs, feet, back of the legs). 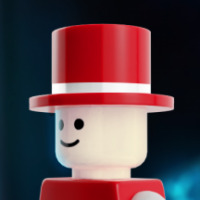 I understand that Lego doesn't want to do that right away because if they would make the ultimate printing for minifigures right now, there wouldn't be anything to improve, but they could give us more then they do now. I understand that the clone brand rips off designs and therefore doesn't have to pay people for that, but this figure was one that Lego doesn't have so that doesn't even count. This is just a report for the first half year of 2017 so it doesn't say much, but overall I think this news is better for the consumer in the long run. If this continues they really need to do something about it and everybody here can come up with a few good solutions that are all in favor of the consumer. Lego has had swings up and down. The late 90s saw some really bad product releases which damaged the brand. They saw that and fixed it and have been on a good run for a while now. I agree that the $50 to $150 range is an issue, but I also think that the lower end (sub $50) is suffering. There just aren't a lot of lower priced sets to bring new buyers into the mix. 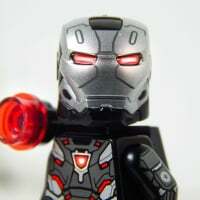 So if Lego can fix the price issue across the board, I think that they will move in a positive direction. Trimming the offerings won't help if the price points are still too high and consumers buy other products. The only sets I've paid MSRP for since coming back to LEGO have been The Saturn V, Yellow Submarine, and a few minifigures. Everything else purchased new has been at discounts, typically 30% off or more. I find that most of the time I don't even look at full price LEGO when I'm shopping. It has become similar to shopping for a new car in the US, where the "MSRP" is a joke because there are multiple dealer incentives built into the price. The vast majority of my LEGO is purchased used from thrift stores, which does nothing for LEGO's bottom line. That's the downside (for LEGO Group) of manufacturing toys that are virtually indestructible and backward-compatible for decades. I agree that the $50 to $150 range is an issue, but I also think that the lower end (sub $50) is suffering. There just aren't a lot of lower priced sets to bring new buyers into the mix. I counted over 140 sets under $25 RRP released in 2017. And this does NOT include polybags, dimensions, Duplo or CMFs. I don't think I agree with your statement above at all. If anything, there are TOO many low-end priced sets available, and many of them are very similar to each other. Since LEGO doesn't release any meaningful sales, margin or profitability information, nobody knows the motivating factors for this company. Perhaps they staffed-up two years ago in advance of anticipated growth and the downsizing is a natural result of attaining that growth. (Once you build the highway, you don't need as many people to maintain it.) 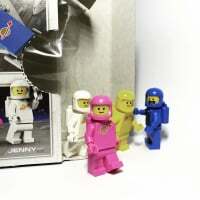 Or LEGO enjoys treating people as chattel and messing with their lives. Who knows? None of us. I don't see much point in trying to ascertain whether this is the 'beginning of the end'. I'm happy that my hobby is thriving, that lots of kids enjoy it, and I can get some satisfaction from the hobby. I'm happy they have a worldwide market, positive third-party ventures and reach all segments of their target market. I trust from their history, they will be prudent in their decisions and produce good product for another six decades. the motivating factors are obvious. from a capitalist point of view, it's for the greater good. from a communist point of view, it's greed and pure evil. hopefully, things end ok for the people losing their job. I'd agree that we're currently around or at a high-water mark for sets, but it is one of several that have come and gone over the years. Just in my own lifetime, here is what I witnessed. 1988-1991: Definitely a peak, what with the release of Pirates, the Blacktron subtheme reaching its zenith with Message Intercept Base, the release of 9V Trains, and some colossal (for the time) sets coming out like, like the #6542 Launch n' Load Seaport, at over 1000 pieces for a System set. 1994-1995: Not as pronounced, but the release of the Aquazone theme in 1995, the last of the monorails, and Technic sets like #8880 Super Car really showed Lego still was getting better, even after the last "high-water mark". I'd argue the intervening years (1992-1993) were more of a high plateau than a drop-off, such was the greatness and glory of the LEGO SYSTEM in those days. 2001-2002: The last peak before the fall, Star Wars really hit its stride in set design and bigger UCS sets (like the Star Destroyer), BIONICLE comes out, and this is all happening as LEGO as a company really stands before the financial abyss. 2007-2010: My college years, and I missed out on the first UCS Millennium Falcon, the Taj Mahal, the first modular buildings (which really hit their stride with the Firehouse and Grand Emporium), the return of Space in the Space Police, and just a huge surge in the sleekness and complexity in set design. 2016-Present: This is the era of BIG sets. I seem to have bought less sets in the last two years than I ever did, even as a destitute child in the mid-90s, but most of the ones I do have are gigantic. I could have never imagined sets like Ghostbuster's HQ, Assembly Square, the Bucket Wheel Excavator, and the upcoming UCS Falcon remake existing. And Ideas has really knocked it out of the park. Now, is this the highest peak of them all? I'd say, "No," but that is just personal opinion. As sagely pointed out earlier, we don't have access to hard financial figures, so we really can't make judgements based on that. There will be more dips or plateau's to come, and there will certainly be new peaks. I'd predict in the next ten years, we see more sets with piece counts between 5000 and 6000, but nothing will eclipse the UCS Falcon's hefty parts haul for a while. And whatever set exceeds that may certainly coincide with another high point in Lego's release history. These are just one LEGO Maniac's interpretations over the course of his soon-to-be 29 years of life. Make of it what you will. You are right about the number of sets released. I hadn't seen all of those. When I go into the Lego store, I don't see 140 different sets priced under $25. I see tons and tons of sets at much higher price points. That's where my perception comes from. I did the same via a query in the database, and got 165*. I'm surprised at how many I cannot recall seeing for sale. Yesterday on the radio (Radio 5) they interviewed the owner of The Entertainer (a UK toy shop chain) and some others about this. During the interview, there was the statement that these days people often see lego sets as an equivalent to airfix kits - that is, you put it together and it stays together - rather than being the creative build what you like type sets of yesteryear. 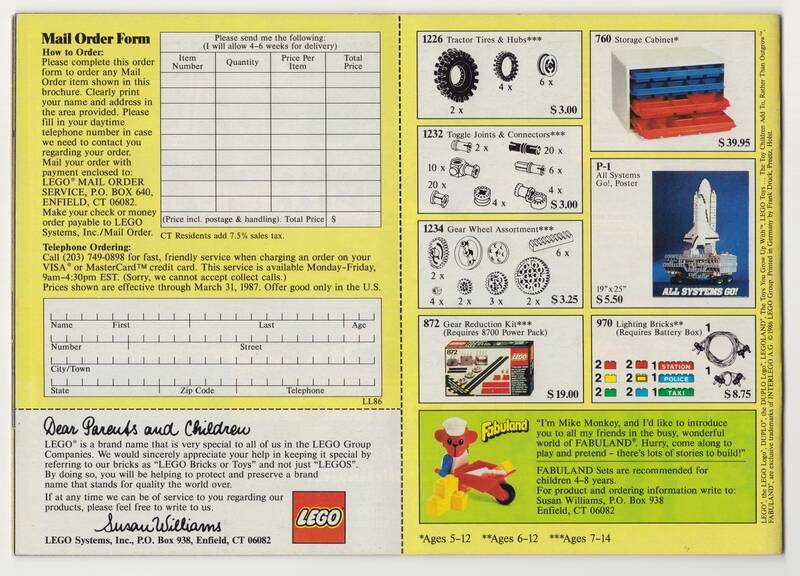 Looking down the list, if I pick a random creator set, say #31055 Red Racer. Cost is £5. Build time is probably 5-10 minutes for a kid. That is quite expensive for a small car if that car is nothing else, just left built. Then looking at the number of similar sets - there are four/six of this (eg cops vs robbers, Friends puppies, ) four of that, etc. I think if I told a grandparent the kids want (insert description) then they wouldn't know what to get from the description. They really need the number. Which again shows the point of your last sentence. * EDIT: I didn't exclude Dimensions! I'd guess it started when they no longer had pictures of alternate builds on the back of the box! I think it is something that has built up over time, due to a number of factors. Kids get way more toys these days then they used to, and far more often. So 30 years ago when you got a new LEGO kit, it was more rare and you had to get a lot more hours of use out of it. Feeding into the same vein, there was much less other things to compete for your time as well. Finally, my 80s childhood LEGO collection was alll mixed together into common bins for creating my own stuff. I had bout 5-6 colors, and a large portion of those were 1x1, 1x2, 1x4, 1x6, 1x8 bricks, plus standard 1x and 2x plates. I had a MUCH more limited parts/color pallete back then. Yes, my creations could not be nearly as intricately detailed as today's creations can. But it was much easier to get started. More approachable because you had a lot more similar parts/colors to build a wall or whatever, and because the parts were more generic and much less specialized. I think it's harder to pick up a random bucket of pieces from 4-5 sets and build something from scratch now than it would have been back then. I think some of the luster lost with Lego (at least for me) is that I'm never really surprised anymore. I research every set I get, usually in multiple ways (Brickset, Jangbricks videos), big sets are announced and anticipated for months, and themes come and go just when they hook you in (i.e. Monster Fighters, Pirates/POTC, Western/Lone Ranger, etc etc). For me, I feel like I need to take a step back from Lego to fully enjoy it again. Not a dark age, but maybe a disconnected age. I have enough Lego to last a lifetime as is; I own pretty much every variant of Ep 4-6 minifig and vehicle, do I really need that new landspeeder just to get a Luke with a slightly different print and hair? My point is, I'm pretty burnt out on keeping on top of what's new and coming out...I am considering greatly limiting what I buy in the foreseeable future, and as an AFOL I doubt I am the only one who feels this way. I wouldn't be surprised if at least on the AFOL side of things sales go down. I know we make up a tiny amount of the whole picture, and if kids are wanting less Lego, they'd probably have completely different reasons. But for me, I feel I need to take a step back and enjoy what I already have. Maybe I'll get more engaged again in a couple years when things seem fresh and fun again. Now that's not set in stone - after all, 2017 isn't over yet - but I've been buying a less current sets and more parts or older sets; I've probably bought about 30%+ of the 2016 sets this year with 3-for-2 discounting, good % discounts etc. Why? Most new sets seem to be rehashes of old sets, and not the ones I'm interested in either. I've also gravitated towards MOCs. Obviously 2018 may be different (new ranges inc city trains) but on the whole I've got enough sets and aside from the usual modular there's not really anything that I feel the need to buy. The issue is - in my opinion - too many sets of too many themes. Does each theme/film release/new license need 4-5 sets every time? And even if the answer is no, why is one always prohibitively expensive? (GBHQ and Silent Mary for example). Did they just fire that new CEO they just hired, which seems not that long ago he was appointed that job. He was only ever meant to be temporary. Finally, my 80s childhood LEGO collection was alll mixed together into common bins for creating my own stuff. I had bout 5-6 colors, and a large portion of those were 1x1, 1x2, 1x4, 1x6, 1x8 bricks, plus standard 1x and 2x plates. I had a MUCH more limited parts/color pallete back then. Yes, my creations could not be nearly as intricately detailed as today's creations can. But it was much easier to get started. More approachable because you had a lot more similar parts/colors to build a wall or whatever, and because the parts were more generic and much less specialized. I think it's harder to pick up a random bucket of pieces from 4-5 sets and build something from scratch now than it would have been back then. Even their Classic boxes don't fill this role. Way too many different types of pieces in way too many colours. But then, I wonder if they sold service type boxes of 100 1x4 bricks in LBG, would they sell? You two hit the proverbial nail on the head... too many different parts in too many different colors... I truly believe that it stunts creativity and gives you LEGO "brain freeze". P.S. 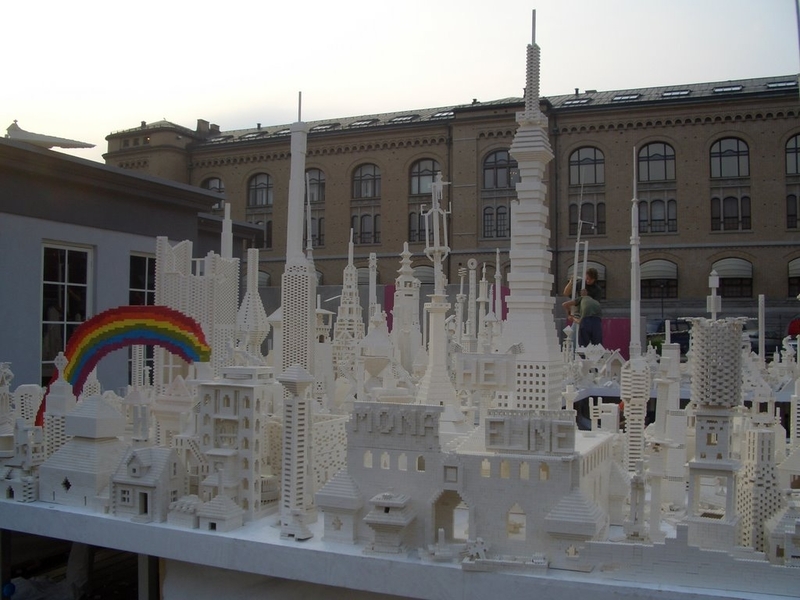 The LEGO rainbow was not one of the public designs. I find the contents quite frustrating. Although there are enough bricks to make lots of small models according to the instructions, trying to make anything else is difficult. One kid (5) is fairly blind to colour when building, and doesn't care about mixing up the colours so long as the bricks are roughly the right shape to make what she wants. Whereas older kids (7/8+), do care about the colours and if they want to build a house, as they want the same colour throughout the walls, etc. When you look at the parts, there are four 1x4 bricks in one colour, four in another, etc, no where near enough to build a wall. Sometimes one colour has only one part type. Even if they decide to build stripy walls (one layer of each colour), often smaller bricks (1x1 and 1x2) will be in different colours to the bigger ones, so you cannot teach them to stagger bricks over joints for strength. I make it that this set contains 29 colours, excluding the various trans parts (adds another 7 colours). That is for just 580 parts. If they went for say 5 colours, about 100 in each colour, the set could have a range of pieces in those five colours and be much more useful. I must say at the Lego house you could also build a small (8x8) house, and it was all white parts everywhere. That definitely helps! For me, the high point was probably 2012. CMF were hitting a high point at Series 6, 7 and 8. Lord of the Rings - best sets of the range (excluding Orthanc) Weathertop, Helm's Deep, Mines of Moria. Monster Fighters - probably the best one and done series ever. SW - Decent OT sets, tie and X-wing (even if rehashes), Droid escape, even the battle pack (Endor), Y-wing, skiff, Jabba's Palace. Even the advent calendar was good this year! Planets. Some of the "new" Friends sets were breaking through changing LEGO forever, and are equally as good as today's (eg. #3315, #3185). Decent board games (Hoth and Hobbit), with others still around from 2011. Ninjago was being well received (not my thing, but year 1 seemed not so great, but year 2 it takes off well). That said, I think they are making some of the best / most exciting sets ever now - what they are doing with Elves is great, Ninjago (again not my thing) also looks like they are hitting another high point. Some SW sets seem great, others less so. SH is in a low point for me - too much about TLBM, but then they have probably done classic SH to death anyway and were becoming boring. The real downside for me is the lack of a one-and-done theme. In the past we have had MF, AC, PQ, etc. This seems to have disappeared. I'm also not keen on brickheadz. The lack of any castle / fantasy type sets is also not great, although Elves partially fills that gap (at least for builds if not figures / armies) with a bit of imagination. I think is inevitable that any company will step back, fall short, or have a large miss. It's the nature of business. So has Lego done the best that they ever going to do? I highly doubt that. Have they done the best they're going do for a couple of years? Maybe. Looking at the last couple of years, we are hardly in a bad place. Any missteps from this year could be corrected. We are such a long ways from where we were in 2000-2004. I remember saying to family in 2003 and 2004 that there very little that I wanted to get those years and the years prior. There were also clear missteps leading up to that period, which at this point I would say we not really had either. That's not to say that current mistakes couldn't continue. In addition to other factors people have already mentioned, another major factor I believe has been contributing to the current issues is that there is a bubble market for Lego right now. For a couple of years now I've been saying this and been dismissed. I'm ok with people continuing to dismiss me over this issue. But as long a Lego plays to or contributes to the bubble this will be a problem for them. The new UCS Falcon is the prefect example of a set that plays to this bubble. This is a set in response to a demand (or perceived demand) rather than a set that creates demand i.e. the Saturn V.
Short term Lego may be down. Long term they will be up and continue to move upward with an occasional down turn. (Sorry about any missed typos or grammar mistakes. This is a longer than normal post and I tend to have more mistakes the longer I go). a box that I found much more interesting and which is priced similarly to classic xxl boxes is #40174 lego chess which comes with fewer colors, and in particular, decent amount of white, grey and black. I used it to build like 90% of my entry for last month's monthly building contest. 3) discounts for bulk online purchase, similar to the way Monoprice does pricing. Buy 1 of a part for regular price each, buy 50 get 10% off, buy 100 get 20% off. Quantity and percentage discount variable per part#. Similar to your option #1, but more flexible. I find Creator sets better than the Classic brick boxes for this purpose. Like the Beetle, for example, if you want a pile of medium azure bricks to build with. I bought three for that. But I'd love to have a better product that doesn't cost a few hundred dollars. If they brought back these types of service packs, assuming the price is reasonable, I'd buy mountains of the stuff. 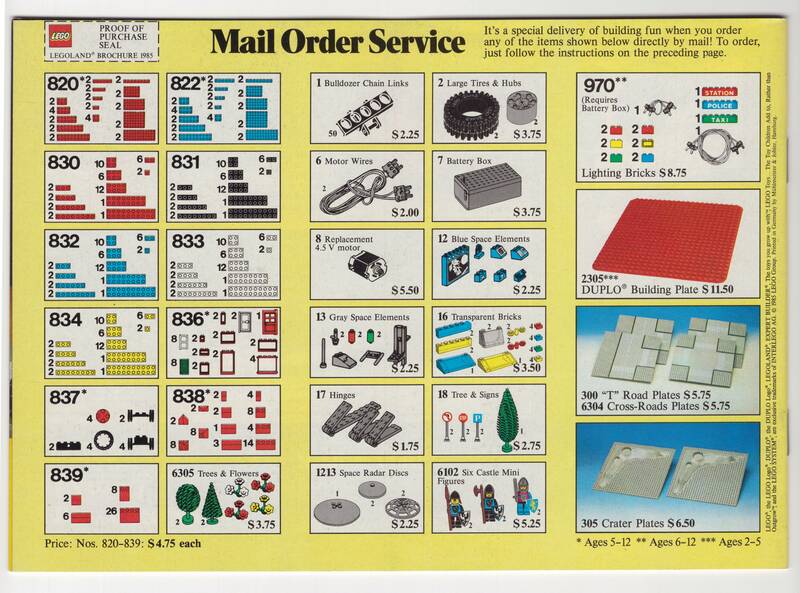 I do miss the old service packs - though don't we have 3rd party sites like BrickLink/Brickowl/Ebay for that now? ;) The way I figure it, those sellers have to get their parts from somewhere, so purchasing through them fuels overall sales. That little 'Dear parents and children' bit worked well, didn't it? I think the comments on the classic boxes are spot on. I buy a fair number of these because they are often on sale dirt cheap and I have a bin I fill for my kids and I to do "Creative" building vs set building. The incredible diversity of parts and colors inspires lots of great ideas, but there are never anywhere near enough of the specific part and color combos needed to actually bring those ideas to fruition. Huge diversity but not enough of any of it to actually build something other than very small or simple models. 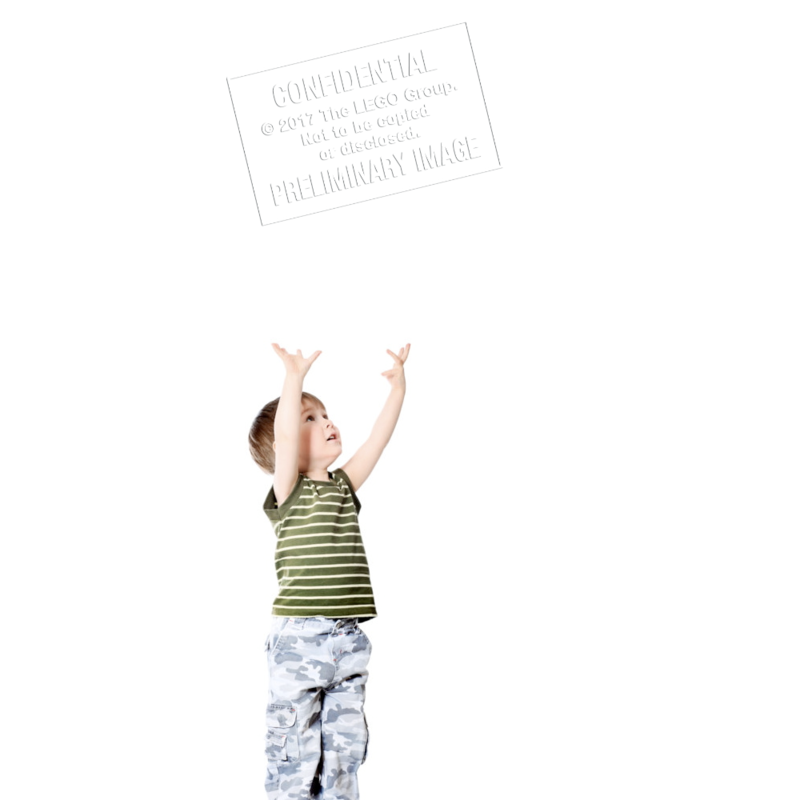 Which for small kids is probably sufficient, but past that gets frustrating. I liked that they made some vague attempts on a few of the classic sets to focus them (bright color specific sets etc) but most do not have that. The 4 small $5 sets that focus on a specific color sets (red/pink, orange/yellow, blue and then green) are a nice step in that direction, but way to small to be enough of an impact. If they did bigger sets either focused on color ranges or VERY general themes (buildings or vehicles) but maybe at that point it starts pushing too far into the creator range were you already have vehicle and building sets (but clearly focused on one specific decent quality build and a couple much lesser quality ones). In the end, I just end up buying multiples of the same classic set until I have enough doors and windows, or other similar pieces, to actually build something with my kids. At least in the US they were about 20 years too late with that message. Oh well, something else you can blame Samsonite for. @LusiferSam , I agree with you! One problem that TLG has caused with the thousands of new parts, and so many new colors... is that they got away from their "SYSTEM"... where you could buy a bunch of related parts in the same color for a MOC build. Even Bricklink can't fix that. For example... the 3x3 33 degree low slope double concave (valley) bricks were first introduced in the Architectural Set ROBIE HOUSE... in dark red. Well this part is a wonderful complement to the other parts of that type... the 1x3, 2x3, 3x3 and 4x3 regular low slopes and the 3x3 double convex low slope. This problem is repeated with hundreds of LEGO parts. You will have 90% of a system in so many colors... but it's never quite enough to do a LEGO project the way you really want to do it! Did the "Lego System" ever mean "every basic part in every basic color"? I had always been under the assumption that it merely meant all parts were compatible in one way or another (a factor that hasn't changed). As useful as having parts in a variety of colors is, I've never seen Lego as less of a "System" just because some parts have yet to be released in every major color. And to be honest, it's probably not good business to "frontload" that kind of variety by releasing everything at once, instead of introducing parts as needed and still having the opportunity to release "new" recolors of basic parts as they become necessary for a given set or theme. I often think about this issue. There are times when I learn a part I want doesn't exist, or is difficult to come by, and it can easily be a part you'd assume is common and already in your collection. But it is surprising sometimes what is not. As an example, a 1x6 tile in green is unique to a single set. So, despite having a million or more Lego pieces from hundreds of sets spanning from the 60s to today, I don't have a single 1x6 green tile. Surprisingly the 1x6 green tile is not that expensive on Bricklink. Some people even have mass quantities of them for sale. Actually, the 1x6 sand green tile now comes in two sets. I think LEGO has brought in enough new customers over the past few years that are wowed by the big sets. They are just getting into the hobby and will buy up enough sets to keep sales going. However, in 3 years I think their growing sales will start to peak more and probably decline big time in about 5 years. I don't see parts being available in limited colors as a big deal at all. Granted, I'm only 26, so "two decades" of this issue is the vast majority of my life as a LEGO fan, but the way I see it limitations like that are just part of life and you might as well get used to them. To the average buyer it probably wouldn't even matter if every part existed in every color, because they'd already be used to working with the limitations of what's in their collection, which will inevitably be a much narrower selection than "everything ever made" or even "everything currently available". Compared to any one builder's collection, the scope of everything out there is mind-blowingly vast. And anyway, it's not like there was EVER a time when everything was available in every color. Wheels, for example, have always been pretty limited in how many colors they come in. Builders of a certain era might be used to certain parts like windows or slopes being available in a broad range of sizes and colors, but that doesn't make window color variety uniquely important in a way that wheel color variety or plant color variety or minifig head color variety is not.